Whitehouse Properties Group has opened its revived and re-branded former Dural Hotel – The Vicar – heralding a much-needed sophisticated offering for the Dural region. Scott Whitehouse and family bought the large pub in Sydney’s Hills district in the mid-80s, then known as the Vicar of Wakefield. Over time they evolved the pub to become the Dural Hotel. 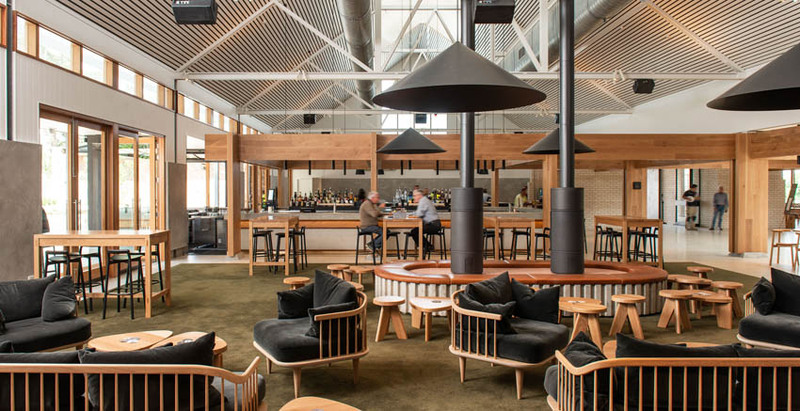 The Group also operates the Tilbury in Woolloomooloo, and Beach Rd Hotel in Bondi, and began to see a market for a diverse, quality venue in the North, to service the growing population. Over five years ago the family began planning a major overhaul of the structure and layout, securing DAs to allow a more free-flowing design, and refined dining options. The interior design is by Hecker Gutherie, with architect Hugh Slatyer, with work predominantly on existing structures, including overhaul of the 24 accommodation rooms at the rear, slated for early next year. “It basically still sits on the footprint of the original hotel, we just used the space a bit better than they did back then,” says Whitehouse. “It’s more open-plan now. Areas now open bring the “relaxed” and sun-drenched North Side, with the Sports Bar and Northside Lounge, leading to the Outdoor Terrace, with long lounge seating, tables and retractable umbrellas. The venue embodies a colour palette of earthy green, brown and charcoal hues, through pale timbers and unique copper light fittings. The next stage will see the even more refined South Side begin to come online, in December, including the new function space, along with Wakefield’s Dining Restaurant, followed by Mrs. Goldsmith’s Wine Bar. The kitchen and dedicated menus are driven by executive chef Leigh McDivitt and consultant Dave O’Brien, both formerly Merivale. The Sports Bar will offer “elevated” pub classics, such as The Vicar Caesar and rotisserie chicken, wood-fired pizza, or a classic steak or burger. The Terrace, with its own outdoor barbeque – to be known as Northside Brisket Bar, will offer an aromatic assortment of pork, beef brisket, steak and vegetarian rolls. 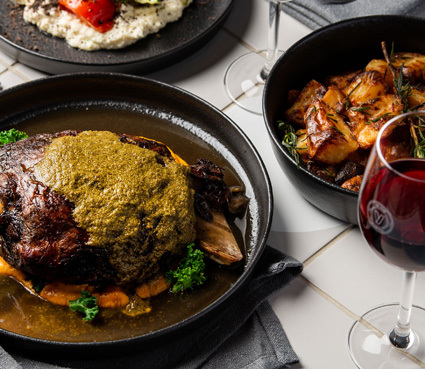 Wakefield’s menu is based in sharing and a farm-to-table approach, with plenty of fresh vegetables and herbs, lashings of seafood, and share plates of poultry, lamb and pork from the rotisserie, for what is envisioned as a “relaxed family-style dining space with a sophisticated edge”. Mrs. Goldsmith’s will be a separate European-style wine bar with its own kitchen and opening onto a dedicated deck. “The Vicar is designed to have every occasion covered,” offers Whitehouse. 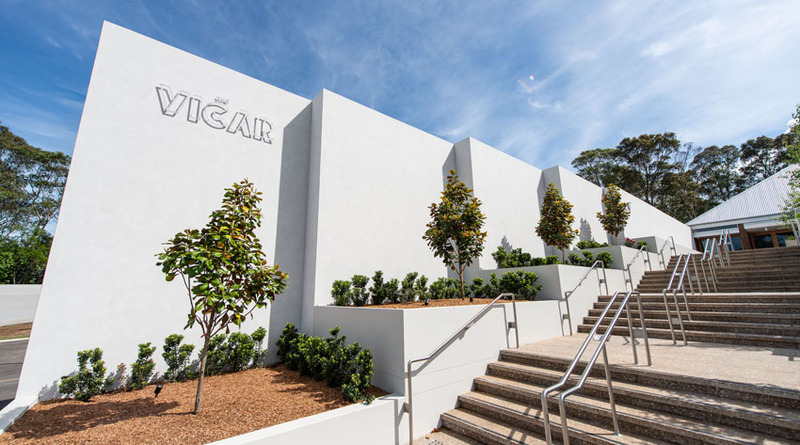 “The Vicar is here to give The Hills district a dedicated, world class, approachable drinking and dining destination. “We’re not just doing another big pub, we’ve put a bit of effort into it and raised the level.